Founded in 2015, CENTRE CREATIVE is a London based design studio that creates brands for businesses such graphic, packaging, web, interior also PR. With our true passion, we love to help any business and work out any problems by design perspective. We beleive design is the important factor to sort out your business. He was born in Tochigi, Japan. 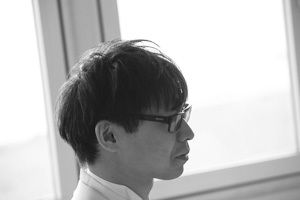 After he worked in Tokyo design studio for 3 years, came to London in 2008 because he loves London’s trend design. Since then, he joined Japan Centre Group Ltd as designer and advertising manager then has worked a lot of branding and any graphic, web and PR material. Since January 2015 he launched Centre Creative Ltd design studio, now helped design for a lot of clients.